Something that I’ve been interested in for a long time is aromatherapy. It’s amazing how different scents can affect your mood and your thoughts but I find it hard to use them everyday. I decided to tackle this problem with crafts! 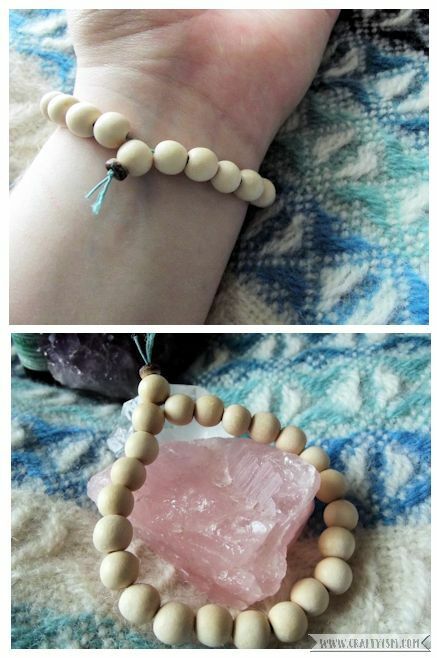 Using basic jewellery making skills I made a wooden bead bracelet that will soak up any aromatherapy oils and keep them close to you all day. 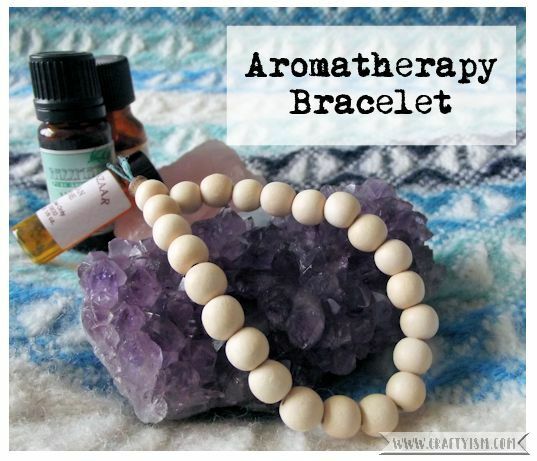 Keep reading to find out how to make your own aromatherapy bracelet. Take your beads and measure how many you will need to go around your wrist. Take one more bead and keep it separate. Next take the shirring elastic and cut it so that it just fits around your wrist. You want to cut it like this so that your aromatherapy bracelet will stretch and fit snuggly. Thread all of your measured out beads onto the cut piece of elastic. This next step can be a bit fiddly! Take both ends of the elastic and bring them together. Thread the ends onto a large eye needle and pull this through the bead you kept separate earlier. Next pull the needle through the smaller flat bead. Finally, knot both ends of the elastic. The smaller bead helps to keep the knot secure. Now the fun bit, choosing your aromatherapy oils! I decided to use a mixture of my favourite jasmine and lavender. Both are good for relaxation and improving mood. Whichever oils you decide to use, just make sure that they are safe to use neat on the skin. If they are not, try mixing them with a little jojoba or almond oil before applying them to your bracelet. To do this, simply place your bracelet in a small bowl and drip a few drops of each oil onto it. Swirl the bracelet around in the bowl to ensure that all the beads get some of the oil. 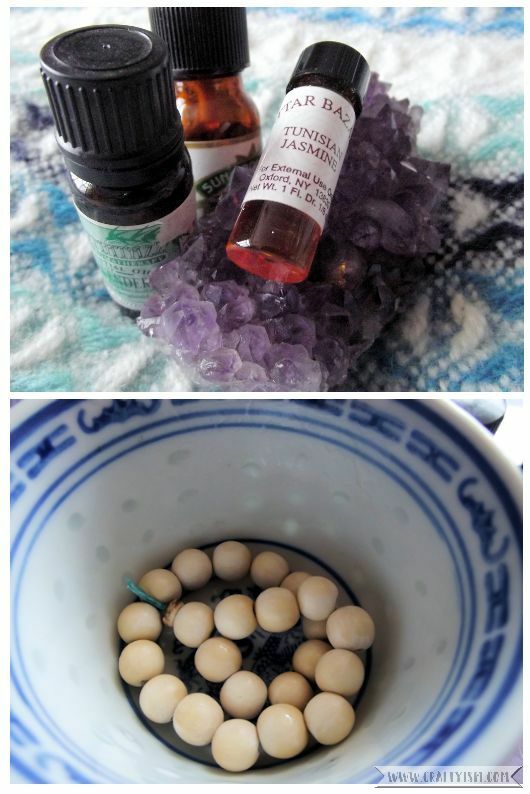 Leave the bracelet in the bowl overnight to allow the oils to soak into the beads. Now your aromatherapy bracelet is finished and you can carry your favourite healing scents around with you all day! When the scent starts to fade, you can reapply the oils or try a new combination. I’d love to know what combinations of oils you would apply to your aromatherapy bracelet and where you would wear them to.